Vitamin B12 (also called cobalamin) is a water-soluble vitamin which plays an important role in the production of red blood cells and is required to keep nerve cells healthy. Vitamin B12 is dubbed the energy vitamin and its shortage can result in an array of health problems, including some potentially very serious conditions. The average adult should get 2.4 micrograms of vitamin B12 daily. (2) Your body cannot produce vitamin B12 and you must get it from food or supplements. Good food sources of vitamin B12 include dairy products, eggs, fish, meat, and poultry. Despite being a water-soluble, vitamin B12 gets stored in your liver, kidneys and other body tissues, so vitamin B12 deficiency can go unnoticed for a long time. That is where the danger lies. By the time the condition gets detected, there might be some irreversible damage done already. In this article, you will find out about the role of vitamin B12 in the body, causes and symptoms of vitamin B12 deficiency, how to treat this vitamin deficiency and how long it takes to fix B12 deficiency. What is Vitamin B12 (Cobalamin) and What Does it Do? Vitamin B12 (cobalamin) is an important micronutrient that is essential for DNA synthesis and providing your cells with energy. The reason why it is so important to correct a vitamin B12 deficiency is that a lack of this vitamin can lead to macrocytic anemia. This type of vitamin-deficiency anemia causes large red blood cells and low hemoglobin. If you have been diagnosed with vitamin B12 deficiency anemia, you will no doubt wonder how long it will take to fix a B12 deficiency. To help recover from a vitamin B12 deficiency, doctors will recommend a course of treatment involving oral supplementation or injections. There are a number of reasons for having low B12 levels in your blood. The main reasons for a cobalamin deficiency are connected with inadequate absorption from food, or a diet lacking in vitamin b12. Let’s look in more detail as the main reasons for showing symptoms of a B12 deficiency. One of the main reasons for developing below normal B12 levels is not getting enough vitamin B12 from your diet. Malabsorption could be one reason for showing signs of a vitamin B12 deficiency even if you include meat in your diet. Having a tapeworm infection in your body can cause many symptoms, including having a lack of B12. A tapeworm infection will also make it more difficult to recover from a B12 deficiency. Another reason for needing to address a vitamin B12 (cobalamin) deficiency is if you don’t have enough intrinsic factor to help with digestion. The symptoms of vitamin B12 deficiency are often not very specific, so vitamin B12 deficiency can go unnoticed for a long period of time. It is also easily mistaken for other conditions, and therefore remains misdiagnosed. Fortunately, a B12 deficiency is reversible if you spot the symptoms in time and take steps to fix a lack of vitamin B12. One of the most common signs that you may lack sufficient levels of vitamin B12 is extreme tiredness. Fatigue is a common symptom with most types of anemia because a lack of red blood cells results in not enough oxygen feeding your cells. In many cases, correcting a B12 deficiency results is having more energy. However, did you know that there could be other reasons why you feel tired all the time? The lack of energy caused by cobalamin deficiency anemia will also lead to breathlessness. A deficiency of vitamin B12 will also cause you to have skin that lacks in color or has a yellowish appearance. Not having adequate levels of B12 vitamin can also make your tongue look inflamed, swollen, and feel sore. One of the neurological symptoms associated with a deficiency of B12 is problems associated with brain function and memory. One way that B12 malabsorption or a lack of vitamin B12 from your diet can affect your nerves is by causing tingling sensations. If you suffer from constant tingling in your arms, hand, or feet, find out what else could be the cause. The neurological impact of poor levels of vitamin B12 can also affect your balance and gait. A sign that you may need to fix a vitamin B12 deficiency is if you have blurred vision for no apparent reason. Low levels of vitamin B12 can result in noticeable mood changes such as depression and mood swings. Depending on the severity of the vitamin B12 deficiency, it could take a few weeks to a few months to correct the symptoms. However, oral supplements or injections can help to fix a B12 deficiency. What are some of the ways to correct a vitamin B12 deficiency quickly? Unless intrinsic factor or malabsorption has caused your cobalamin deficiency, you can help to prevent vitamin B12 deficiency anemia with a proper diet. Sometimes, you can help to fix a vitamin B12 deficiency or prevent anemia through diet. Making sure your diet includes foods rich in vitamin B12 will help keep your levels within the normal range. Liver and kidneys. These types of meat are good to get enough iron in your diet as well as plenty of cobalamin. If you stick to a strict vegan diet or a vegetarian diet, it can be a challenge to get adequate amounts of vitamin B12. Supplements can help to correct a B12 deficiency faster than increasing your dietary intake of vitamins. Vitamin B12 supplements are usually necessary if malabsorption or digestive problems are the reasons for cobalamin deficiency. Vitamin B12 is also usually present in many multivitamins. Muscular injections are one type of vitamin B12 treatment if you have a severe deficiency. In critical cases of vitamin B12 deficiency anemia, injections can quickly correct a lack of B12. Beet root and cabbage (wine color) are also high in B12. Plant sources are not a good source of B12. Spirulina and plant sources are not bioavailabile. Spirulina carries analogues and actually can block absorption. Thanks for the helpful information and tips. I noticed Grace mentioned vegetable options that are high in B12 and that’s going to be very handy for vegetarians/vegans. I’ve been struggling with a lot of the symptoms listed here and will most definitely look at my B12 consumption. I have been on thyroid meds since 1994, and had major eye problems from Graves’ Disease- (Only one eye bulged) so they put me on prednisone (sp)in 2007, and my weight went from 118 to 202 in less than 6 months- Plus I had the moon face,multiple chins, went from a size 7 to wearing old mens’ size 44 trousers….it was bloody awful. I also was lethargic, mean spirited & unable to control my temper- I was told that Vitamin B12 would help alleviate those problems- I tried taking supplements and found that they made me anxious, nervous, my arms & hands had the shakes, my pulse raced, and my heartbeat was thumping and put me into panic mode- ( I do not drink beverages with caffeine). When I stopped the steroids in 2010, I lost 50 pounds but am unable to shed the remaining 44 pounds- Can you explain why body rejects B12??? I don’t think I know the answer Betsy. It might be side effects or interaction with other medication, I’m not sure, but your doctor needs to know about it. I am not a doctor. I am 67 year old female that tends to be super sensitive to SALICYLATES. Most people and actually most Doctors don’t understand Salicylate Intolerance yet. Look up FOODS CONTAINING SALICYLATES on the internet. Salicylates are in many foods and DRUGS and are cumulative. If you ingest too much of them they can send you over the top and cause some of the symptoms you described. It is totally worth your while to look into this as a possible contributor to what you are experiencing. Salicylates are most likely in the B12 suppliments (or any other drug you take). My Doctor basically has given up on me because I cannot tolerate any drug he has prescribed for me. The Feingold Diet helps people with this kind of problem. Also can look it up on the internet. You have to help yourself by doing a little investigative work. Doctors just don’t have time to step outside the box these days and look further into things for us. Frustrating for sure. Try taking the methylcobalamin form of b12..if you are taking cynocobalamin you might see some side effects.. I was diagnosed 7 years ago with a B12 deficiency and later, iron anemia. It took a couple of years before we realized that it is a symptom of a low thyroid. Thyroid hormones are sometimes called the metabolism hormone. When you don’t metabolize the food you eat, you don’t get these necessary vitamins and minerals. I was doing the shots monthly, but my thyroid doctor recommended B-12 dots. They are sub-lingual, meaning that you absorb the vitamin directly into the blood stream, bypassing the stomach. I use 4 a week and my B12 levels never looked better. Plus instead of the up and down of the shot, my levels stay more even. I feel great. 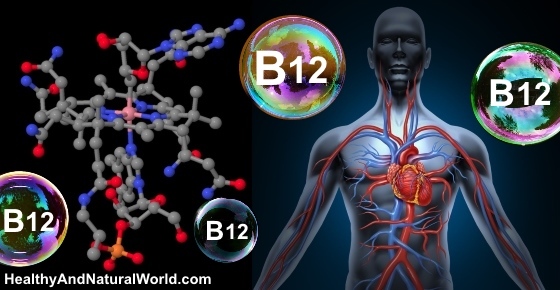 What are B-12 dots ? I have never heard of them. I have taken shots for four consecutive weeks and then have been on over the counter B12 Sublingual tabs for about 4 months blood test and told to stay on them and have recheck in four months. Will someone explain: Does deficiency of B12 play any part in patients with Hepatitis B. How far it important in the treatment of such patients? You are actually the first person I’ve seen that has ever mentioned this condition. My ob tested me for it a couple of years ago and I have a what he called a “double whammy” as I apparently inherited it from both sides and have double gene mutation. Also, if you have a genetic blood disorder such as MTFR you are unable to properly absorb b vitamins. It’s unknown to many medical professionals and you’re blood work could say you have high b vitamins. It’s just that your body isn’t processing them. It can lead to stroke, high blood pressure, dementia, trouble in conceiving, or going full term. Sometimes you won’t notice anything until later in life. I’m so glad to see people talking about this condition. My ob tested me for it a couple of years ago and I have a what he called a “double whammy” as I apparently inherited it from both sides and have double gene mutation. Hi Angela, I have the mthfr mutation but I can’t tolerate l methyl folate, nobody has been able to figure it out, have you found anything else out since your 2014 post? I would like to add that I have Crohn’s. As a result have had my ilium removed so therefore do not absorb B12 by eating it. Only fix. B complex shots and we are back on track. My sister has the same and gets b 12 shots but my father also has the same and does not get any b12 medication, is it different in men? I just started taking a b complex about a week ago and I already feel so much better. I was suffering headaches, fatigue, anxiety, and depression. I still have treatment for my anxiety, but the b complex has just really helped me along! Having gastric bypass or “stomach stapling” can also cause a B12 deficiency, and oral supplements do not help. Monthly injections of the vitamin is the only way to avoid this. One can easily learn the simple technique of doing this at home and even though a prescription is needed, the cost is minimal. I had alot of dental surgery over the summer. My experience with the laughing gas was scary. I felt like I was dying and I could not speak, my insides were shaky, and my heart was racing. I was a second away from going unconscious when my dentist noticed my body going limp. He turned off the gas and had me breathe oxygen. My legs did not stop shaking for 20 minutes and I was freezing. It must of scared him too because he refused to work on me again until I had my blood checked. I knew I was anemic, but I found out at the doctor’s office that I had a Vitamin B-12 deficiency. The laughing gas was sucking more out. It is rare, but for some, the laughing gas is not funny, it can be deadly. I am taking B-12 now and trying to consume it in Vegan Protein Shakes an Spirluina. I feel better. Seems to make me happier and look less tired. I finished my dental work and braved it all with numbing shots instead of the gas. Boiled rice and its stock which is pink in color, red millet, and whole grain rice which is red in color, an combination of red pearl onions and molasses are rich source of vitamin B12 and iron for vegetarians. Your digestion system is weak then nothing oral will work, what ever food you eat it will go waste. First improve the digestion system and then only take food even tablet won’t work much. Better to go for shot until your digestion system is improved, monthly one is enough if the level is above 200. increase frequency initially if below 200. It seems to be a simple blood test that gets overlooked by G Ps these days. As a District Nursing Sister in the 70’s in UK. I had many older patients on regular Vit B12 injections but you don’t hear much about it any more, especially the over 60’s . It should be one of the annual routine tests. Eula – try Global Healing Centre Liquid B12, called VeganesVegan-Safe B12e. I am a vegan on a healing journey and use this though I am based in the UK and get it from a UK based Company that sell their products. I have tendinitis in my wrists and use this plus Nutritional Yeast sprinkled over my food daily. Apart from other natural therapies I believe this is easing the pain a little.